One of the leading Scandinavian ski resorts, Are, Sweden, offers the winter sport fanatic everything they could wish for. The facilities are immaculate, the accommodation is superior and the scenery is breathtaking. If skiing’s not your thing, or you’d like a change of activity through your holiday, other activities on offer are things such as snowmobile safaris, ice fall climbing, dog sleighing, and much more – meaning there’s no excuse for boredom, no matter what your personal tastes or preferences. The lodges and luxury accommodation are set perfectly in the beautiful mountainous surroundings, providing you with everything you might need for your mountainous adventure. 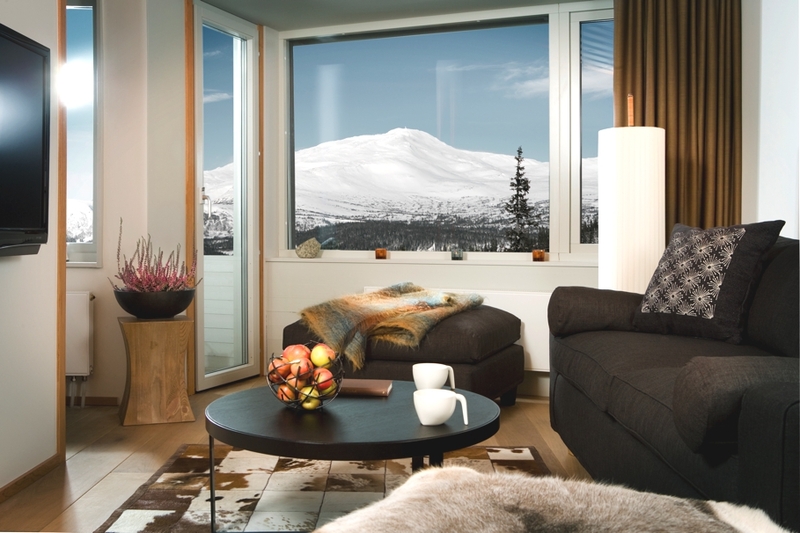 Located on top of the picture perfect Mount Förberget, Copperhill Mountain Lodge offers 360-degree views of the stunning Swedish arctic landscape. Designed by master architect Peter Bohlin, known for his iconic work for the Apple stores, this family-run resort with 112 guestrooms offers the ultimate mountain getaway.